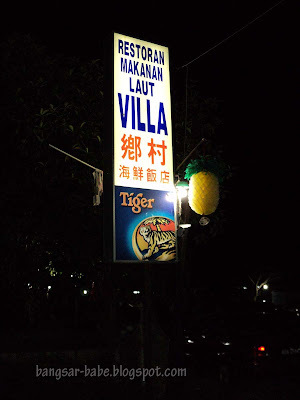 I used to frequent Restaurant Makanan Laut Villa with my father when I was a little girl. 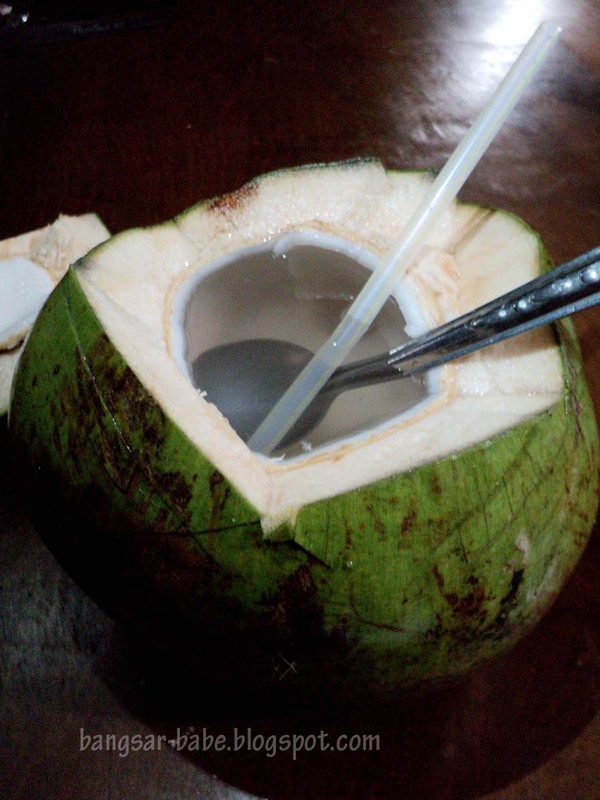 Dad would order a fresh coconut for me while he had beer and peanuts with his friends. Since rif went to Sitiawan with me last weekend, I took him here for dinner. 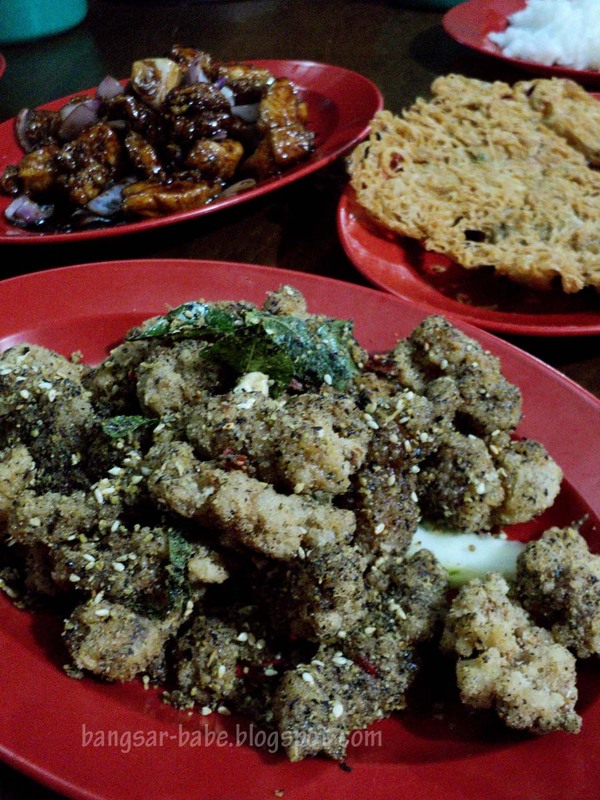 We ordered the oh chien (RM8), Thai style siakap (RM27), Marmite Chicken (RM12) and Seaweed Mantis Prawns (RM15). 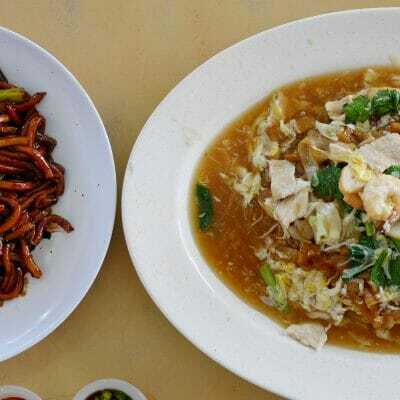 The food arrived in 10 minutes along with my cup of toddy (RM1.30) and rif’s fresh coconut (RM2.50). 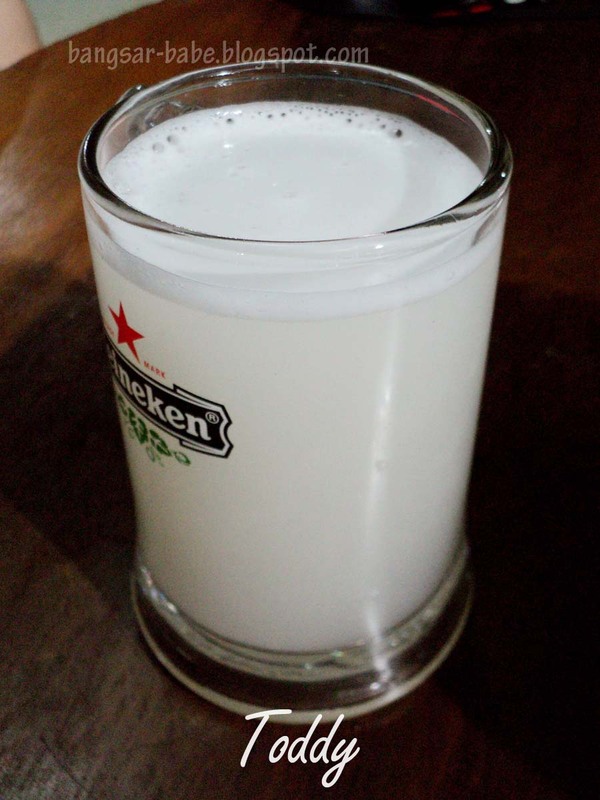 Unlike most places, the toddy here is served at room temperature. If you like, you can ask for some ice to chill your toddy, but I recommend drinking it at room temperature. I’ve always liked Sitiawan’s version of the Oh Chien (RM10). 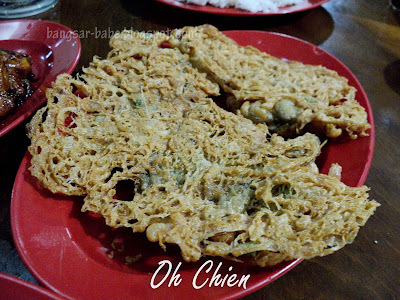 Delightfully crispy and moist on the inside, it felt as though we were eating oyster ‘keropok’. Although not very large, the oysters were juicy and plump. 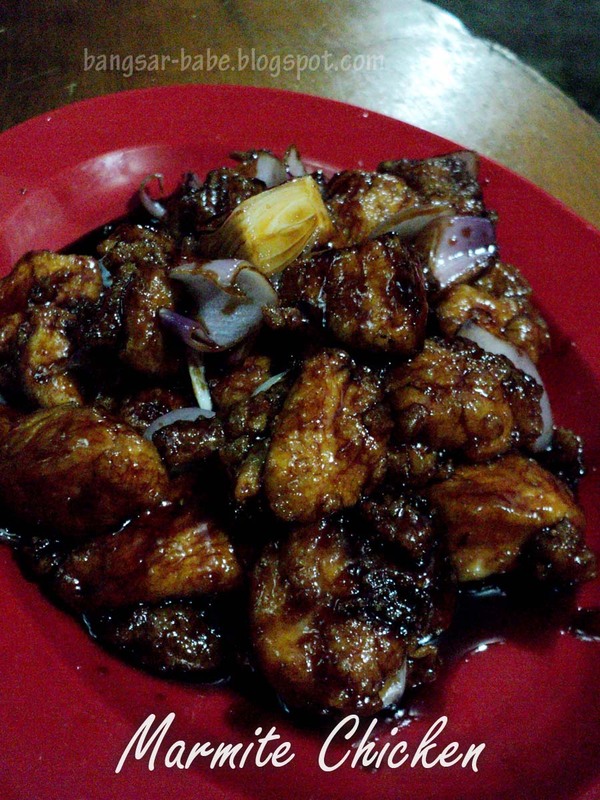 Try eating it like the locals do — with some Kampong Koh Chilli Sauce. The siakap (RM27) was fresh with a firm and tender flesh. However, the Thai style gravy was much too sour and spicy. I thought it overpowered the natural taste of the fish. It would have tasted better steamed with ginger and soy sauce. Seaweed mantis prawns (RM12) was something I’ve never tried before, but the waitress highly recommended this. 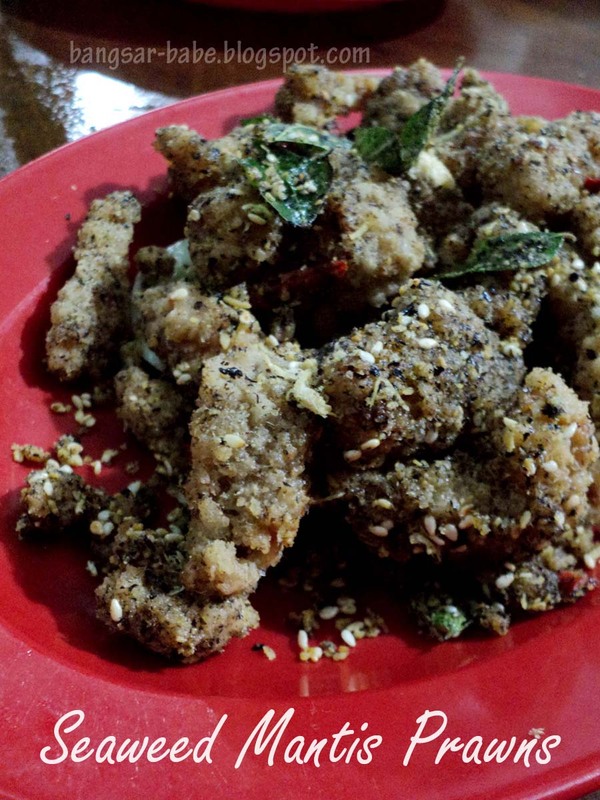 It was similar to the salt and pepper mantis prawn, but instead of pepper, seaweed powder is used. Crispy and nicely seasoned, this would go well with beer. Marmite chicken (RM8) at Villa was prepared slightly different from the usual. The sauce was sweeter, slightly tangy and not as thick compared to the usual Marmite sauce. At this point, rif went, “I think Hock Chew folks love their food done sweet and sour style.” He was somewhat right. 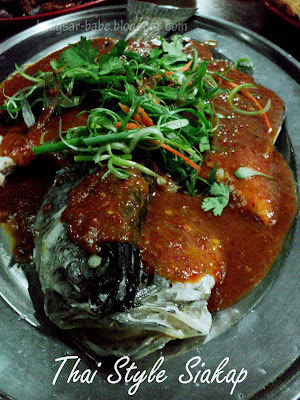 Most Hock Chew dishes are sweet and sour based. I reckon the standard has dropped slightly since I last ate here more than 5 years ago. 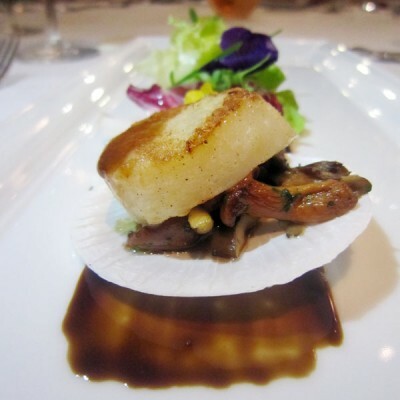 However, the food is still not bad, plus I love their hearty portions and affordable pricing! Verdict: Decent food, generous portions and reasonable prices. 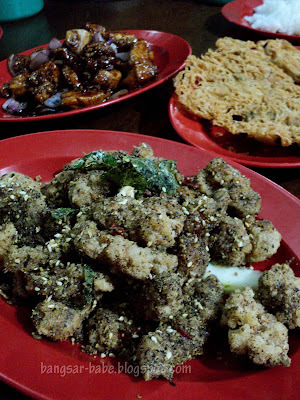 384, Kampung Cina, 32000 Sitiawan. ohhh well things always seem to taste better in the mind, i always get that disappointment..but yeah the mantis prawn is new to me too! Villa's good. Have they moved when you went that time? They put signs stating that they'd move soon when we were there last month or two. To the road where Ah Pek Lee Kou Hock is. Most of the locals say "Restoran Makanan Laut Villa" is the best seafood restaurant in Sitiawan! Horlic – I don't know if it's the best, but my dad likes going there. J2Kfm – Not yet move. I asked them, and they said they will only move in one year's time. iamthewitch – Waaa…you're more gung ho than I am. I only use kampung koh chilli sauce for noodles.